Carl Gustav Jung (1875-1961) was born in Kesswil, Switzerland, a wee lakeside hamlet that had changed little since the Middle Ages. His rustic upbringing gave him the gift of intimate contact with the natural world, a profound source of meaning for him: “Every stone, every plant, every single thing seemed alive and indescribably marvelous.” Like his mother, Jung had the ability to access his archaic mind. He had an old soul that was intimately connected with all living creatures, and to the world of dreams. This gave him the unusual ability to observe people and events with extreme clarity, as they truly were. From the sweet pinnacle of a tranquil, wholesome childhood, the rest of his life was a stunning downhill plunge, as the civilized world fell into ever-growing chaos and catastrophe — rapid industrialization, urbanization, population explosion, two world wars, mustard gas, atomic bombs, holocaust, the rise and fall of Hitler and Stalin. It was an excellent time to become a famous psychiatrist, because this new reality was a steaming cauldron of intense insanity. Jung provided the world with a new model for understanding the mind. For almost the entire human journey, we had obeyed the laws of nature, like all other animals did. But with the emergence of domestication and civilization, we began violating the laws of life, snatching away some of nature’s power — power that did not belong to us. This cosmic offense created a break that shifted us onto a path of suffering. The gods are now punishing us for our immature and disrespectful impulses. Jung left behind a huge body of writings, most of which are of little interest to general readers. Meredith Sabini heroically combed through the mountain of words, extracted passages about our relationship with nature, and published them as The Earth Has a Soul. It stitched together snippets from many sources, from different phases of his life, so it’s not as flowing and focused as a discourse written from scratch, but it’s an important collection of provocative ideas. In recent decades, thinkers have tried to explain why the roots of the Earth Crisis emerged several thousand years ago. Most have diagnosed the root of today’s problems as rapid, out-of-control cultural evolution — our skills at learning, communication, and tool making evolved far more quickly than our genes did, and this pushed us dangerously out of balance. Jung would agree with this theory, but his perception of the problem was far more complex. For almost our entire journey, humankind was guided by instinct, a form of intelligence that was magnificently refined by millions of years of continuous improvement. Like other animals, we lacked self-awareness, or consciousness. Like other animals, we could think and strategize, but we remained unconscious, and perfectly functional. Jung thought that consciousness became apparent in civilized cultures maybe 4,000 years ago, and it has been increasing ever since. The expansion of consciousness went into warp drive when the era of modern scientific thinking arrived, and we plunged into an industrial way of life. In remote, isolated locations, there are still a few “primitive” cultures which remain largely unconscious, guided by their normal instinctive intelligence. They do not engage in abstract thinking. They do not destroy their ecosystem. They continue to obey nature’s laws. But they are being driven into extinction by you-know-who. Our conscious mind was new, infantile, incomplete, unstable, and easily injured. Jung saw it as a tiny boat floating in a vast ocean of unconscious knowledge. Like a fish out of water, we were separated from our ancient oceanic home, an unpleasant traumatic shock. In the good old days, we lived in an enchanted world where everything was sacred. But science and technology have dragged us away into a miserable manmade world where nothing is holy, and everyone is restless, anxious, and neurotic. On the shore of Lake Zurich, Jung built a summer retreat out of rugged cut stones, a sacred refuge for solitude and contemplation. He cooked on a wood fire, raised food in his garden, and drew water from a well. There was no phone or electricity, because the technology of modernity was certain to frighten away the souls of his ancestors. In his psychiatric work, Jung helped patients heal by encouraging them to seek guidance from their dreams. Our unconscious has all the answers we need, but we usually avoid looking there, because we are afraid of it. We overload our lives with distractions to discourage reflection, and to hide from our darkness. We live at a rapid pace, and never leave a moment for looking inward. Tragically, Jung never came to know a real live hunter-gatherer. He never spent a year or three with the Pygmies or Bushmen, people who lived in the traditional human manner, and lived quite well. If he had, his thinking would certainly have taken quite a different path — and very likely a far more powerful one. He did take several brief expeditions to New Mexico, Africa, and India, to spend a little time with people who were neither Christian nor European. Contact with these miserable “primitive” people gave him feelings of superiority, because they seemed to be neurotic, “tormented by superstitions, fears, and compulsions.” But they also scared him. He once left Africa because of a powerful dream. He worried that he was in danger of “going black under the skin.” Did he come frighteningly close to breaking free from his civilized cage? For Jung, returning to simple, primitive, sustainable living was not a possible solution. “The wheel of time cannot be turned back. Things can, however, be destroyed and renewed. This is extremely dangerous, but the signs of our time are dangerous too. If there was ever a truly apocalyptic era, it is ours.” He believed that salvation could be found by training the conscious mind to receive guidance from the unconscious realm, the world of dreams. 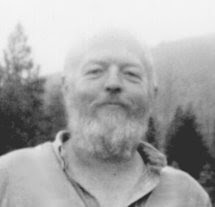 His recommendations for healing included: getting closer to nature, living in small communities (not cities), working less, engaging in reflection in quiet solitude, reconnecting with our past, avoiding distractions (newspapers, television, radio, gramophones), paying serious attention to our dreams, and simplifying our lifestyles. In 1961, the year he died, Jung wrote: “Civilization is a most expensive process and its acquisitions have been paid for by enormous losses, the extent of which we have largely forgotten or have never appreciated.” In his final days in 1961, Jung had visions of massive catastrophes striking in 50 years. Jung, Carl Gustav, The Earth Has a Soul, Edited by Meredith Sabini, North Atlantic Books, Berkeley, 2008.